Praying this week will be a better one for you, Jen. So glad we worship a God bigger than anything we can see. I've been there lately…where the pain of others seems too big. Praying for you and them. Praying for you my friend! For His love to manifest in a million different little ways to show you His heart and reinstill His hope in your heart! Hmmmmm....you too? No words, huh? Well, not really no words, just sounds like an intense week. You were in my prayers and thoughts often and will continue to be. 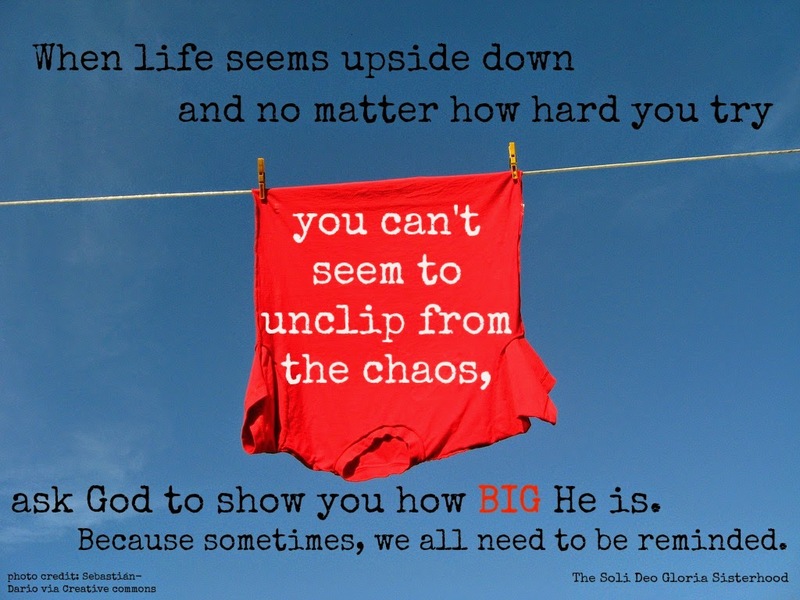 God IS bigger -- but sometimes we need to be reminded and I don't think He minds giving us a reminder. I've been struggling this week with a friend's returned cancer -- stage 4. Praying God will be with you and those you love. It's o.k. when the words don't come. Sometimes God just wants us to steep with Him - and if there's just too much going on - He wants to sit down with you when you feel like a laundry basket full of mismatched socks and help you sort through them, matching them just right! Praying for you, sweet friend! Jen - Praying for you this morning that the Presence of our God would bring assurance & comfort & strength to you. 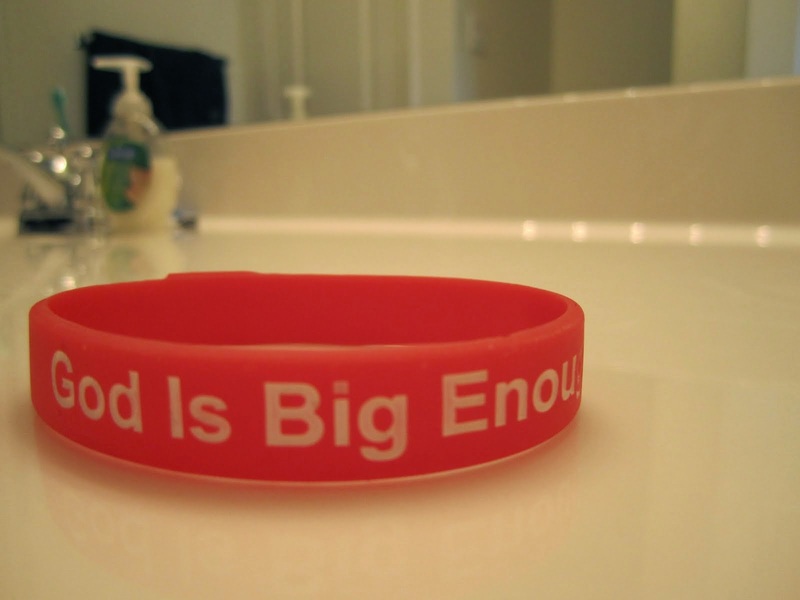 No matter how big the situation looms, our God is bigger still. Blessings! When I share doubts honestly with the Lord, He shows up mightily. He loves to show off and rather than punish us for doubts He seems to do the opposite and shows Himself in huge ways. Like He's saying "HERE I AM!" God loves our honesty with Him no matter how ugly. Oh Jen... Sorry your week was super hard. My heart hurts for you! I ask God to show Himself to me almost daily-- when my patience is tried as a mom, when I am seeking that balance between ministry and family, those moments when I am approaching mile 10 and I am smoked. And you know what? He always shows up. Always. Praying for you, sweet girl. I echo these sentiments of the SDG sisters, steeping with the Lord is good when life is overwhelming. I appreciate your wisdom in knowing when to speak or not. At times it is authentic not to speak like this, saying we don't have the words. I trust the Lord is meeting your deepest needs, I never enjoy this process but am always grateful for the deeper relationship with the Lord that I have on the other side. Praying for you! Our Almighty God can do anything! Thanks for hosting & God bless!